It might be because of our impending trip to Disneyworld, but I have costumes on the brain. September feels like its whizzing by and before I know it Halloween will be here. In the past, I've dusted off the sewing machine and made Chloe's costumes like this Little Red Riding Hood one but I'm a bit pressed for time this year so I might just buy her one on Etsy. 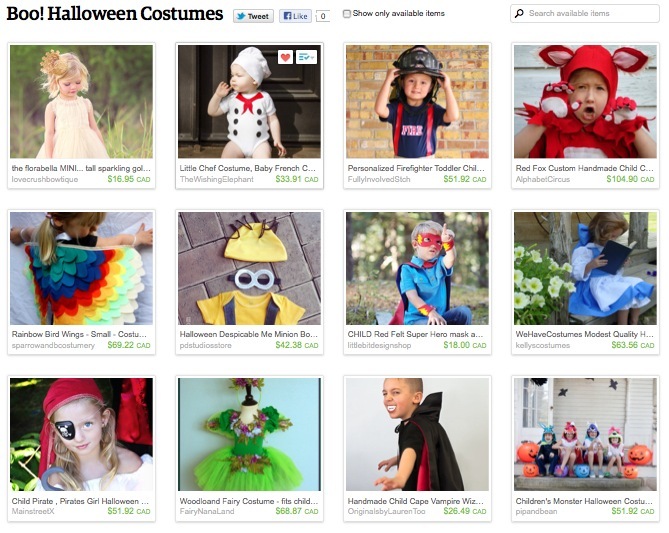 I've put together a roundup of Handmade Halloween Costumes. How cute are these? You don't have to spend a bundle on a costume either... instead of a whole ensemble, you can pick certain pieces - butterfly wings, a superhero cape, a tiny crown - and complete the rest of the costume with clothing you already have. Chloe is all about the princesses these days so I just might pick up that pretty crown. Curl her hair, put on her sparkly shoes, and she's done! Have you started thinking about Halloween yet? Pumpkins, apple pie, the changing of the leaves - I love this time of year!